A Global Design Invasion in the Land of "Oz"
My journal entry upon arrival in Australia, or as the locals call it "Oz" on March 30th. After more than twenty hours of flying, I finally returned home to New York, exhausted yet energized. 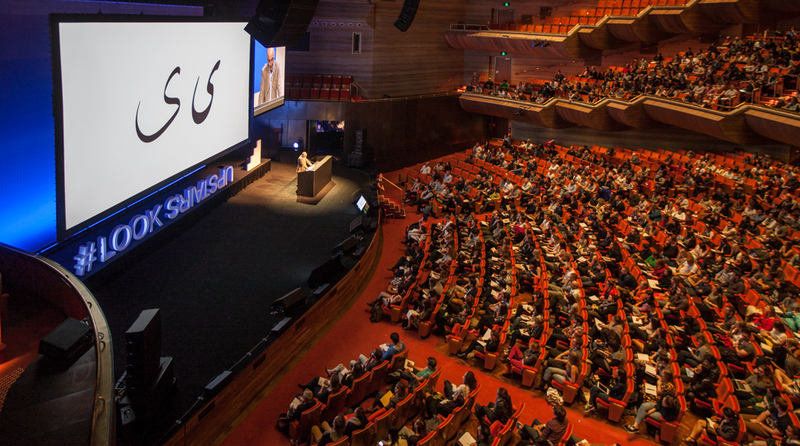 Even with the jet lag, the security pat downs and the baggage hassles, the trip to the 24th Annual agIdeas conference in Melbourne, Australia was well worth it. The 2014 theme, "Look Upstairs", explored design's global impact with speakers presenting from twenty countries. 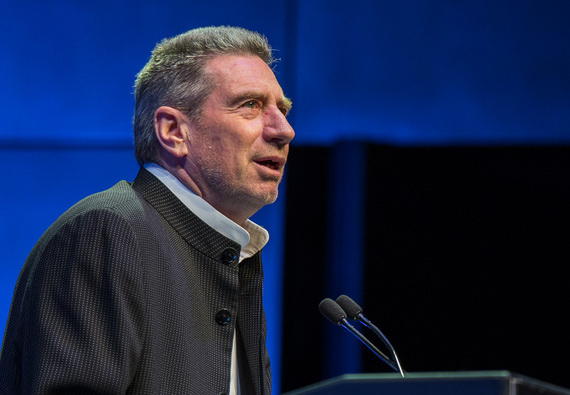 Conference mastermind Ken Cato welcomes over 2,000 attendees to Melbourne's Hammer Hall. Image by Carissa Watson. 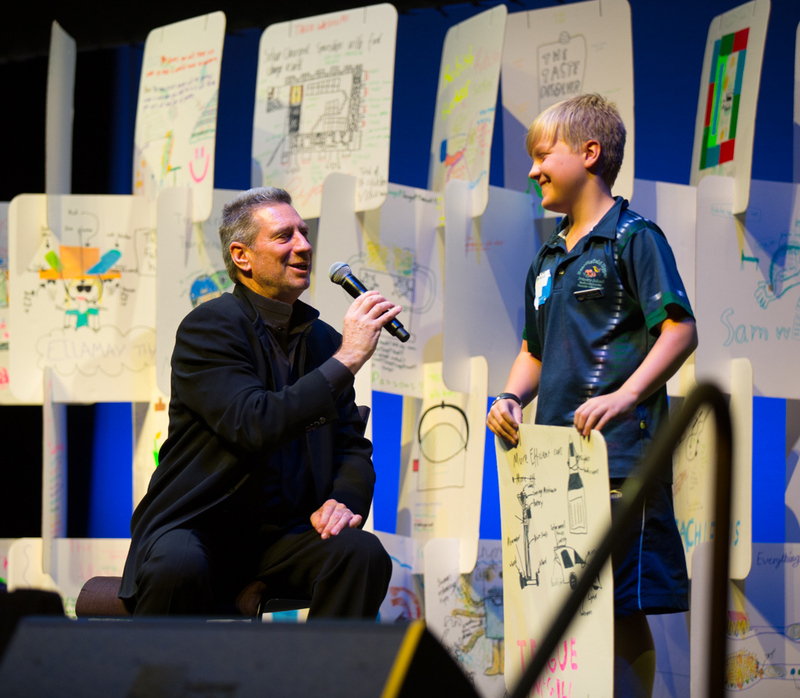 Reflecting back on the jam-packed event, three major themes resonated with me: craft, emotion and reflection. 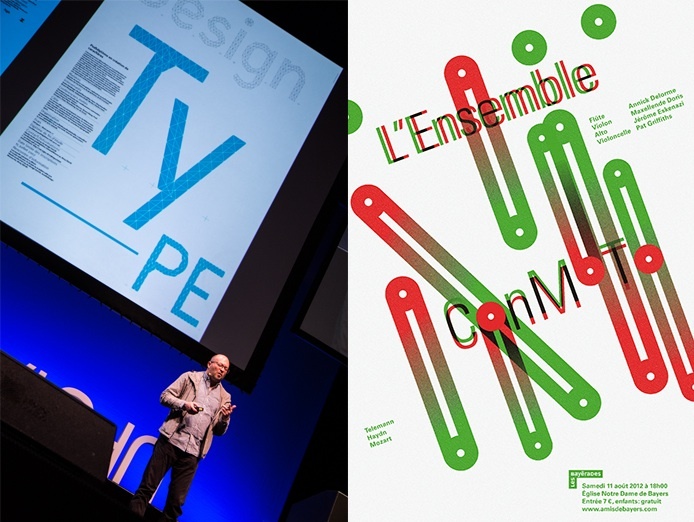 These concepts informed talks ranging from design basics to the ever-expanding role of the designer today. Wesley Burt stresses the fundamental importance of drawing to the design process during his presentation. Image by Carissa Watson. Highlights included the master draftsmen and character designers Wesley Burt from San Francisco and Raymond Coffey from the UK. Both work in the motion picture and video games industries. They each presented beautifully detailed drawings in both pencil and pixels during their respective sessions. The cultural differences in the approach to type design featured predominantly throughout the conference. Australian typographer Luke Lucas' flamboyant style contrasted with the disciplined elegance of French designer Philippe Apeloig and the Swiss style of André Baldinger. The cool restraint of Sweden's Björn Kusoffsky work proved a marked difference from the calligraphic lyricism of Iran's Saed Meshki. 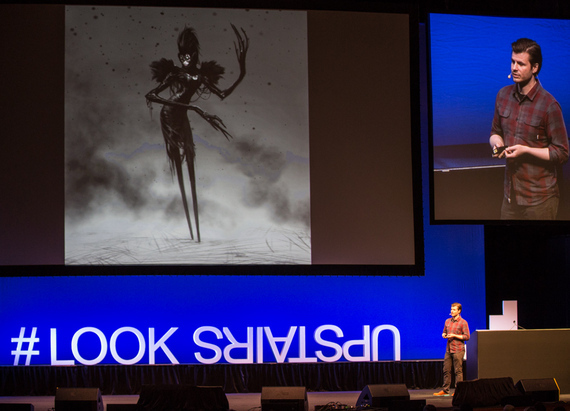 Each meticulously described their craft and how it applied to cultural and commercial work. Saed Meshki from Iran shows the cultural influences on his type design. Image by David Simmonds. 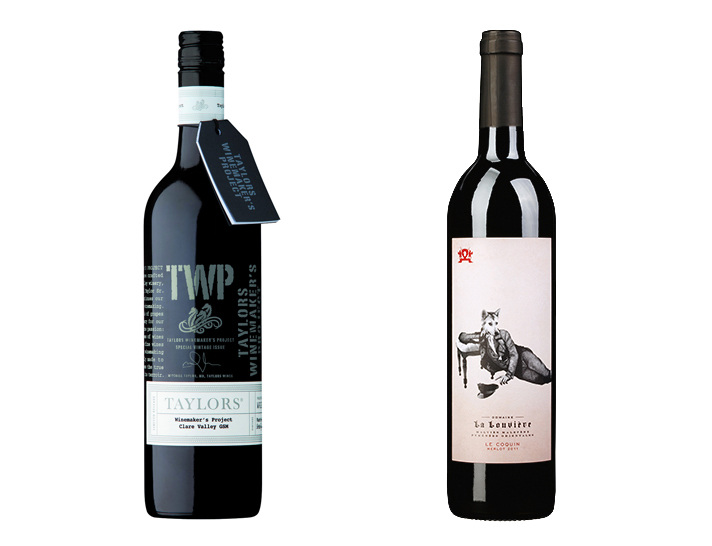 When it comes to fine wine there's more distinction between Australia and Austria than geography.Rowena Curlewis, from Sydney, demonstrated that type, graphics and style in her wine labels recast a blank bottle into an object of desire. Halfway around the world Austria's Cordula Alessandri combines wit, humor and delightful illustration to brand upscale wines from regional vineyards. As for transforming earthly elements into magic, artist and designer Mark Douglass' videos of his glass blowing beautifully showcased the creative possibilities of fire and form in the hands of a master craftsman. Design's capacity to generate an emotional connection to the world around us increases with each emerging technology. Sidney's Mari Velonaki uses complex robotics to mimic human like behavior and interaction in inanimate objects such as her prototype Diamandini. A complement to this experimental work, Studio Roosegaarde from Rotterdam, blends "pragmatics and poetry" for ingenious design and engineering products that generate and conserve energy with a human touch. Applying their design to environments such as dance floors and major highways puts them at the forefront of utilizing new technology in artful ways. Sustainable Dance Floor_ Daan Roosegaarde from Studio Roosegaarde on Vimeo. Raging in from Mumbai, Agnello Dias presented his fun-filled, fast-paced commercial for Nike's tough, urban brand of cricket. The video 'spun' the sport to an entirely different audience, far removed from the grassy fields and pristine uniforms it's known for. American designer John Bielenberg delivered a moving presentation on his design crusade for common good. Founding Project M Lab, Bielenberg directs projects aimed at revitalizing impoverished rural and urban environments from Alabama to Iceland. He offered compelling proof of the positive effect design has on lives of the less fortunate. 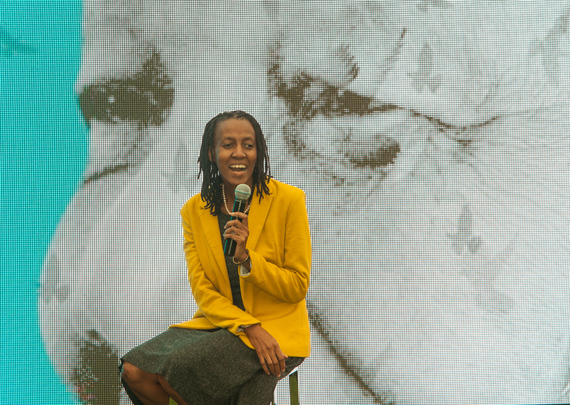 Soweto's Kelo Kubu reflected on the worldwide attention for her Mandela Poster project, sharing the impact of social media and international participation in the tribute to the late South African leader. Kelo Kubu charms the crowd with her heartfelt story about creating the Mandela Poster project. Image courtesy of David Simmonds. By any measure the speaker presentations were visually dynamic. This in turn was the ideal backdrop for the serene black & white photography by Hannah Rose Robinson from Newcastle. With quiet reserve, she spoke of her travels on horseback through Mongolia photographing the indigenous people and their culture. Her dramatic photos of the horses of the "steppe" captured the freedom and majesty of this wild breed. 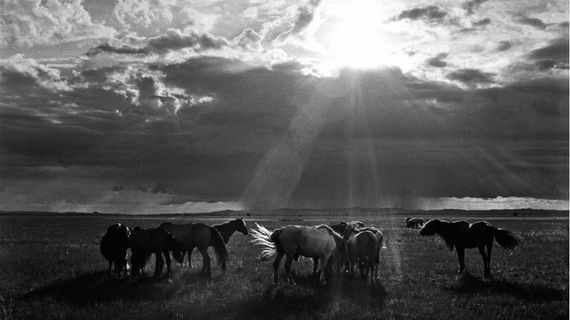 A wild herd of horses photographed in Mongolia. Image courtesy of Hannah Rose Robinson. In my own presentation, I posed the question "Why We Design" to explore the motivation behind this career choice. Throughout the conference it was clear that designers across all disciplines, in all media, from around the world are almost missionary in their zeal. Driven by the need to meet business, cultural and societal challenges, designers commit to these tasks often without the personal financial return afforded to other professions. Yet it's virtually impossible to think of any part of our modern world that doesn't benefit from the creative balance of logic and emotion that is the fundamental stock-in-trade of all designers. Early in the week, design's growing influence became apparent in a workshop for primary and high school students. When asked what they might design to improve their lives they advanced novel ideas such as a better backpack, safer cricket helmet and a timesaving homework machine. In the lush catalog that accompanied the proceedings at "Look Upstairs", Ken Cato wrote: "The profile of design continues to make progress and the learnings of the past 24 years of agIdeas provides a solid foundation for inevitable change."